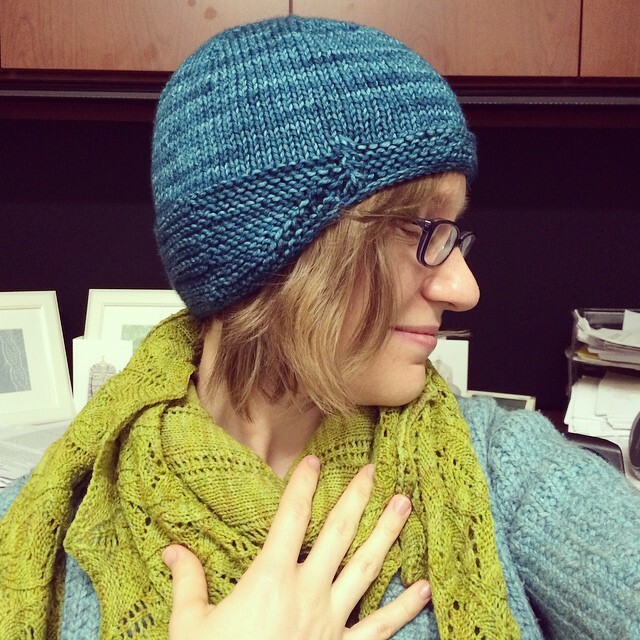 I took the time between my two recitations on Friday to finish knitting the “grown up” version of M’s hat that I was making for myself. Turned out pretty nice, eh? 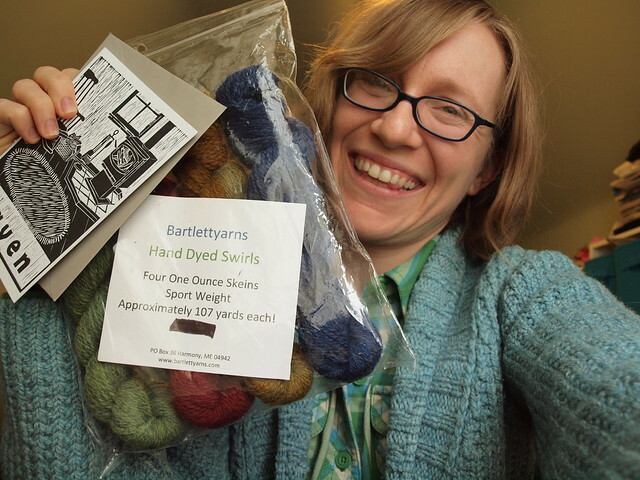 Remember right after Rhinebeck, when I was sad because I’d not bought myself anything (in particular, a mini-skein set from Bartlettyarns), and had just endured a hellacious 6 hour drive as a toddler punching-bag? Well, Yarny Old Kim decided that I needed one of those mini-skein sets after all, and sent one to me, along with a super-sweet card! Thank you, Kim! And not only that, so many of you left supportive, kind, and helpful comments on that post, and I’m oh-so-grateful for them. We’ll definitely be trying some of those suggestions the next time we have a long car trip, and it helps me so much to know that I’m not all alone in finding some of this stuff immensely difficult. Thank you, thank you, thank you! 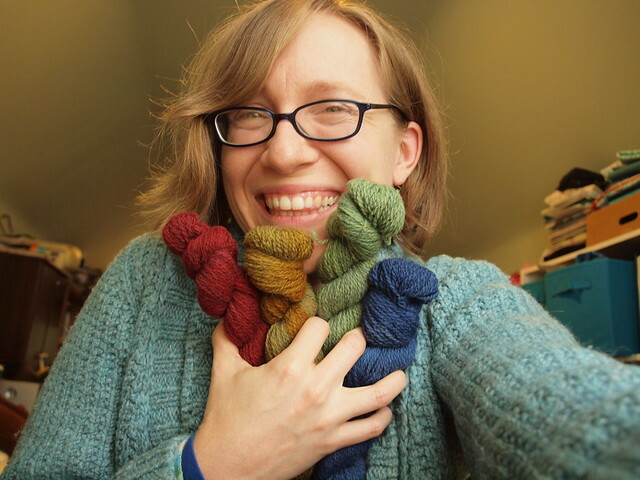 That sheepy, lanolin smell is something I’ve loved ever since I first knit with Bartlettyarns, back when I knit Rogue (gosh, my hair was so BLONDE back then!). 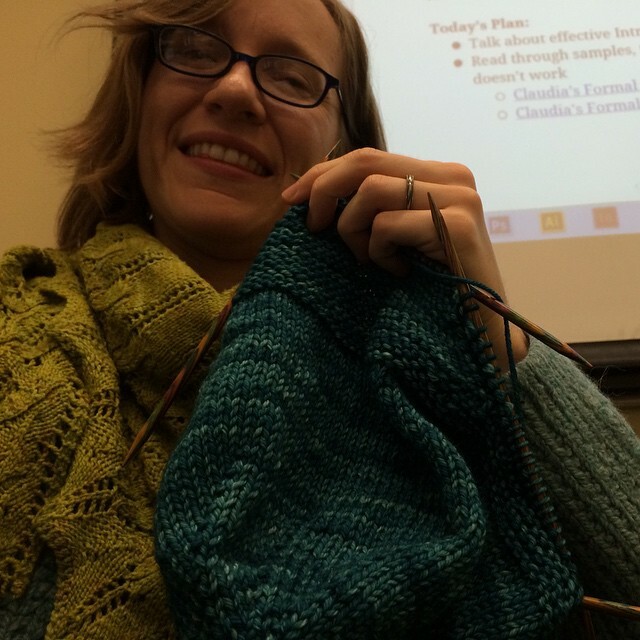 I’ve only ever knit with the worsted weight yarn before, so I’m very excited to get to try out the sport weight. 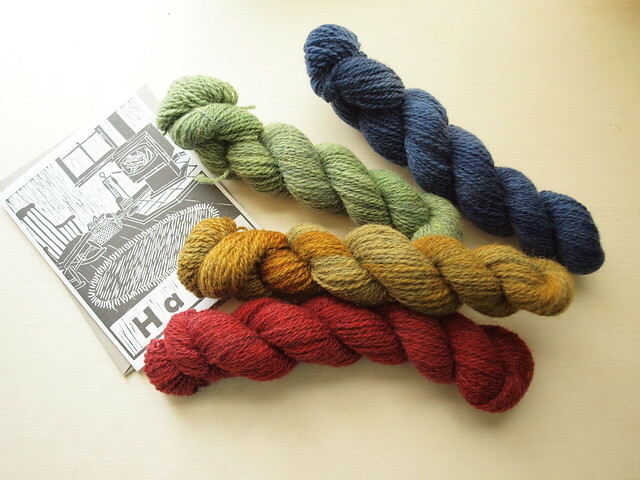 And the hand-dyed colors are gorgeous! I definitely want to use these in something amazing, and the wheels are already turning in my mind over how I might design with them – paired with a light sheepy grey or oatmeal sort of color, these would be pretty gorgeous in a yoke design, no?